All those who have cleared their written exam will be allowed to take the typing test. 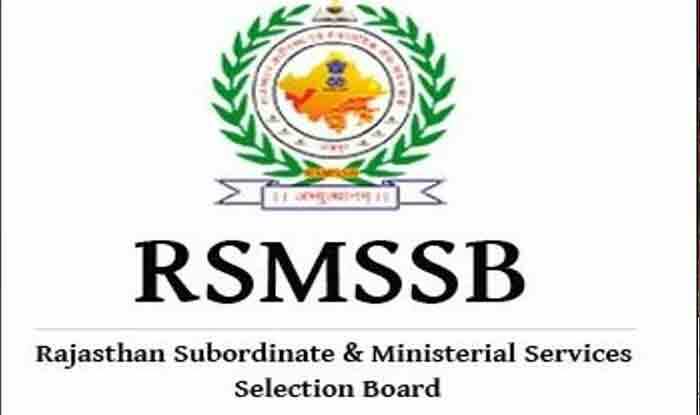 New Delhi: The Rajasthan Staff Selection Board postponed the date of Agricultural Supervisor Direct Recruitment-2018 exam which was earlier scheduled to be conducted on February 10 in Jaipur and Kota. The exam dates were postponed due to ‘unavoidable circumstances’, stated news agency ANI. Candidates are advised to keep checking the official website, i.e., rsmssb.rajasthan.gov.in for latest updates. The reasons for postponing the exam dates have not been officially declared by the Rajasthan Board. The RSSB will also announce the new exam dates soon. Meanwhile, another exam for the recruitment of Supervisor (Angandwadi worker) which was scheduled to be held in Ajmer also stands postponed. Candidates will be selected by the Rajasthan Staff Selection Board based on a written exam as well as a typing test. The written exam is conducted to assess the candidate’s knowledge and technical expertise in the subject area. All those who have cleared their written exam will be allowed to take the typing test. The English/ Hindi typing test is set for 15 minutes each.